The Hubble Space Telescope is the most famous scientific instrument ever built, but its remarkable history has seen numerous ups and downs. Hubble’s operational lifetime includes the agony of its near cancellation before it ever got to the launch pad and the ecstasy of a brilliantly successful servicing mission by shuttle astronauts in 2009. In this lecture, Robert Smith, professor of the History of Science and Technology at the University of Alberta, and author of the definitive history of the Hubble Space Telescope, explores some of the most exciting and telling episodes in this rich history. 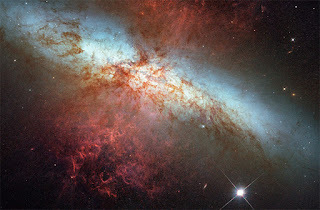 Hubble’s scientific bounty has benefited a wide range of astronomical and astrophysical fields, including the study of planets, moons and small icy bodies in the outer solar system and the cosmological history of the universe. Here’s a look at a few of Hubble’s greatest hits. 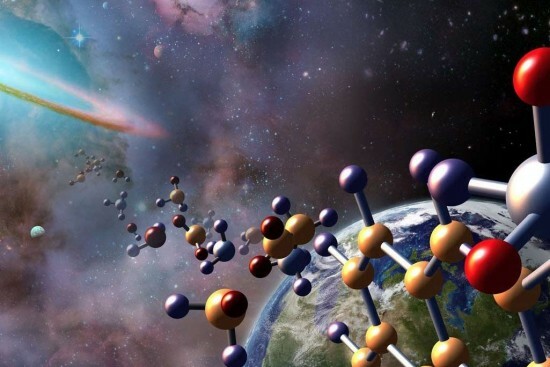 While scientists have published nearly 13,000 papers on Hubble-related studies, one topic earned researchers the 2011 Nobel Prize in Physics. 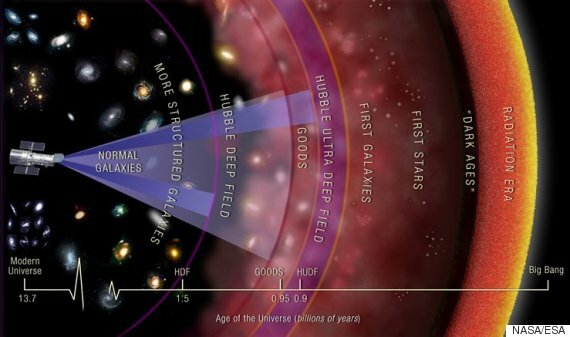 In a pair of related investigations, astrophysicists Saul Perlmutter, with NASA’s Goddard Space Flight Center, Brian Schmidt, with the Australian National University, and Adam Riess, with Johns Hopkins University, discovered that the speed with which the universe is expanding is increasing. 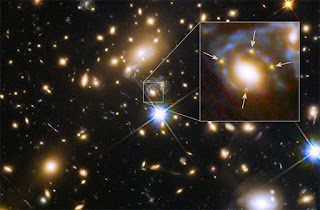 The still-unexplained phenomenon, which would be akin to throwing a ball up in the air and having it pick up speed and keep going, is referred to as “dark energy.” Scientists used Hubble and ground-based telescopes to inventory a type of exploding star that puts out the same amount and type of radiation wherever it is found. The supernova can serve as a yardstick, since like a line of streetlamps, the closer ones will appear brighter than the lights of the same brightness that are farther away. Hubble has found these “standard candle” supernovas in nearby and very distant galaxies. Another field that didn't even exist when Hubble was launched 25 years ago is the study of planets beyond the solar system. Astronomers discovered the first so-called exoplanet in 1992. In 2008, a year before NASA’s planet-hunting Kepler space telescope was launched to look for Earth-sized worlds around distant stars, Hubble took the first visible-light snapshot of a planet beyond the solar system. Estimated to be no more than three times Jupiter's mass, the planet, called Fomalhaut b, orbits the bright southern star Fomalhaut, located 25 light-years away in the constellation Piscis Australis (the Southern Fish). Astronomers followed up images of the star’s planet-forming dust ring with a photograph of a point source of light lying 1.8 billion miles inside the ring's inner edge. The search for planets beyond the solar system is strongly motivated by the age-old question about whether life exists beyond Earth, a quest that also underpins the robotic exploration of Mars and the monitoring of radio waves for signs of extraterrestrial intelligence, among other projects. Much of the cutting edge research uses a planet-hunting technique successfully demonstrated by NASA’s Kepler space telescope, which found thousands of planets as they passed in front of their parent stars, relative to the telescope’s line of sight. Hubble scientists used the so-called “transit” technique to chemically analyze starlight shining through a planet’s atmosphere. So far, Hubble has found carbon dioxide, organic molecules and even water vapor in the atmospheres of exoplanets. Black holes, as the term implies, can’t be directly detected, so jammed full of matter that their gravitational fists traps even photons of light. But they leave telltale footprints on the stars, gas and dust that they encounter and consume. Hubble’s ability to make out the motions of stars and dust and the centers of galaxies provided evidence that a supermassive black hole lies at the heart of almost all galaxies (including our own Milky Way.) Astronomers believe galaxies and black holes grew up together, though exactly how that process unfolds is still a mystery. 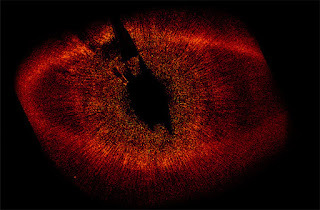 Engineers were in the midst of checking out Hubble after a fifth and final shuttle servicing mission in 2009 when astronomers using ground-based telescopes discovered a spot on Jupiter that was changing every day, the result of a large comet or asteroid smashing into the planet. Hubble trained its newly installed camera on the giant planet, providing a ringside seat to the drama unfolding 360 million miles away. Based on the size of the impact site, astronomers estimate the body was the size of several football fields. 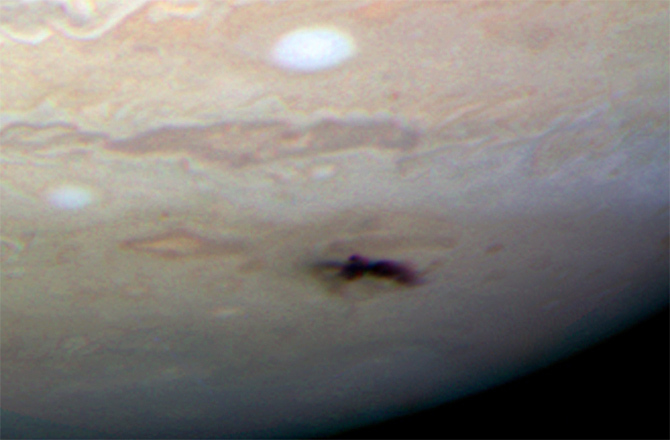 It was the second time Hubble caught sight of an impact on Jupiter. Fifteen years earlier, Hubble took pictures of Jupiter’s cloud tops 90 minutes after the first fragment of comet Shoemaker-Levy 9 hit. At the time, astronomers thought they’d experienced a once-in-a lifetime event. 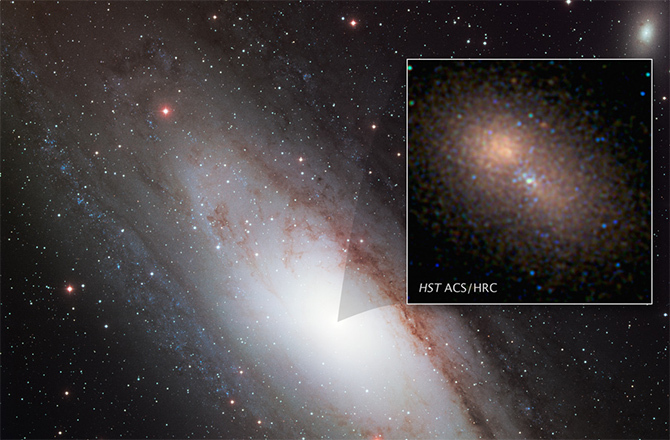 One of Hubble’s latest discoveries may be its most unusual: a multiply imaged supernova in the spiral arm of galaxy 9.3 billion light-years away. That’s well beyond Hubble’s usual range of vision, but the telescope had a helping hand from Mother Nature. Astronomers are using naturally occurring lenses in space, created by the gravitational pull of galaxy clusters -- and even individual galaxies -- to extend Hubble’s view of the universe. The clusters bend the path of light coming from behind them, relative to Hubble’s view, creating funny mirrors in space. In addition to making distant objects visible, the lenses can produce multiple images as the light makes various paths around the lensed region of space.